Happy Fourth of July, everyone! To celebrate, Marvel Comics has announced the U.S.Avengers, a super-patriotic themed version of the Avengers to rise up after Civil War II! Looks neat, and I think I’ll give it a try when it comes out. It’ll be written by Al Ewing, with art by Paco Medina. Proud to be an American Avenger! 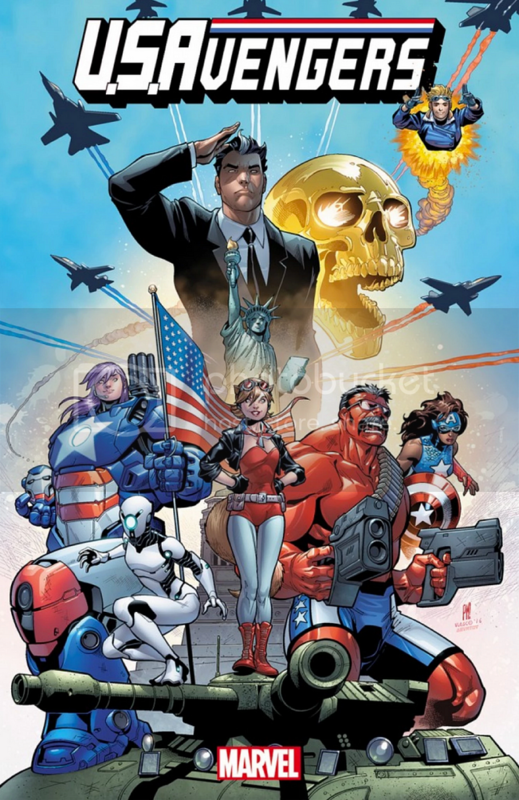 The basic concept is that Sunspot gets his New Avengers team commissioned by the U.S. Government, which sounds pretty cool. I don’t remember if the government has had an officially sponsored Avengers team before. There was the 52 State Initiative, and the government has had various strike forces before, but a full-on Avengers team? Especially one this unflinchingly patriotic? Could be neat! You can read more about it on Marvel.com. 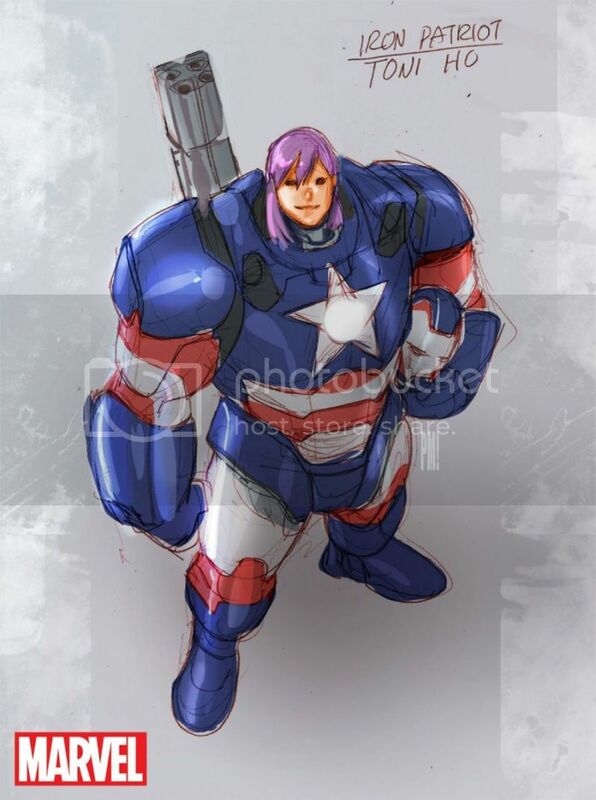 Among the team, we’ve got Squirrel Girl, Red Hulk, Pod, Cannonball, Sunspot, and two new members: Danielle Cage from the future, as Captain America, and Toni Ho as the new Iron Patriot. She’s apparently the daughter of Ho Yinsen, the man who helped Tony Stark build the first Iron Man armor. He was pretty great in the movies. Hopefully this patriotic version of Squirrel Girl won’t mess up her solo series, Unbeatable Squirrel Girl. I’m sure Ryan North will know exactly how to incorporate it into his comic, which remains the funniest comic on the stands. Posted on July 4, 2016, in Avengers, Comics, Marvel and tagged Iron Patriot, Squirrel Girl, U.S.Avengers. Bookmark the permalink. 5 Comments. They actually announced this on Friday – on Canada Day! I’m still resentful about that. “It’s Canada Day, so let’s announce our American-themed title!” Jerks. Such an American thing to do. Ooooo, Toni and Pod have a romance? I knew I was missing potentially good stuff by dropping New Avengers. Well . . . it’s hinted at. There’s definitely feelings there. It seems like it’s leading towards a romantic relationship. That’s my hope, anyway. 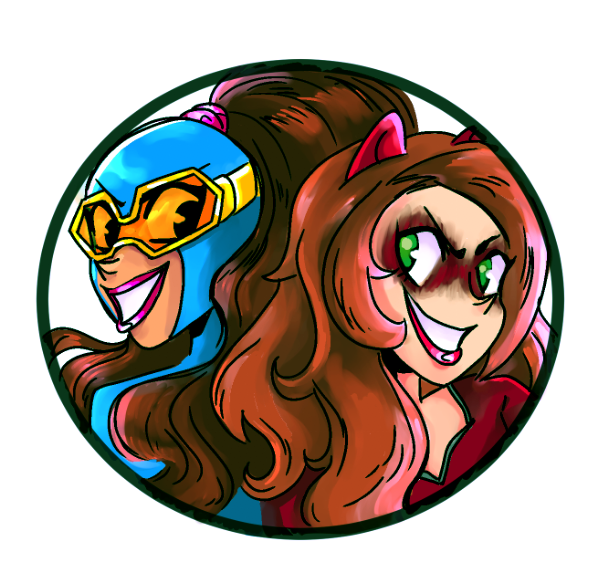 I seldom engage in shipping, but I ship Pod and Toni hard.